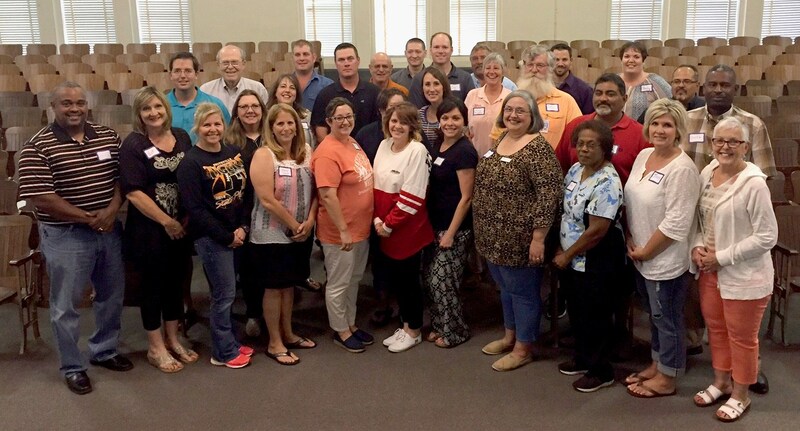 The Smithville ISD Community Facility Committee, led by co-chairs Dennis Snyder and April Daniels, reported their recommendations to the Smithville ISD Board of Trustees on Monday, July 18. The recommendations and presentation from the committee are available for download on this page. The architectural firm of O'Connell Robertson, incorporating the Facility Committee recommendations, presented a report to the school board on Monday, July 18 entitled, "Update & Report on Long Range Facility Master Plan and Future Bond", available for download here. The SISD Community Facility Committee, comprised of community members and SISD staff, was formed in spring 2016 to study and evaluate the district’s facility needs and develop recommendations for a possible bond election. Their report, available on this web page, was presented to SISD’s Board of Trustees on Monday, July 19, 2016. A committee of community members and SISD staff to study the District’s facility needs and help develop recommendations for a possible bond election. The SISD Community Bond Planning Committee will serve in an advisory capacity to help the Board of Trustees assess and prioritize capital improvement needs and long range facility needs for a possible November 2016 bond election. The committee will review potential projects based on anticipated growth, desired operational efficiencies, and identified safety, educational and technology needs. Recommendations will be made to the Board to consider in determining whether to call an election by August 22, 2016 and the proposed projects to include. • Review information to develop list of the capital improvement projects needed over the next 5 years to address growth, safety and health, educational programs and technology in a financially responsible manner. • Prioritize projects for a bond election. • Recommend project priorities to Board before August 22, 2016, for proposed bond election. • Share information with the community regarding the process and recommendations presented to the Board. Attend five meetings, scheduled for 7:00 p.m. to 9:00 p.m. on the 2nd and 4th Tuesday of each month from April 28 to June 28, 2016. Objectively consider all information presented, provide input, and share with their network of organizations, friends, and colleagues the information gathered regarding SISD facilities. Provide recommendations to the Board of Trustees to consider in determining whether to call a bond election and the proposed projects to include in the bond election.